Working for six days a week stresses one out. Therefore in order to liven the weekend a bit, I prefer wearing something different. The dirty jeans stay intact, only the shirt or the t-shirt is replaced by a kurta and the nubuck shoes give way to a jooti. But the ‘winsome’ lasses (have to unwillingly use the adjective as some of them read my posts) I work with unfailingly enquire whether I was coming from or planning to participate in a political rally (depending on which shift I’m on)? 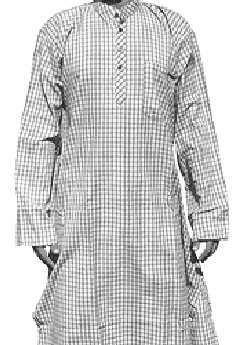 The Kurta, which till not-so-long-ago was the quintessential attire of the bhadralok (gentlemen). Today it symbolises the rabble-rousers of the political kind. Back in the university, my kurta collection was dubbed Marxwadi (Marxist). Did Karl Marx ever don this exquisite piece of clothing? Is the kurta the exclusive domain of models sashaying down the ramp, politicians plagued with foot-in-mouth disease, flamboyant socialites always 32-all-out facing the camera? “Even our Editorial-Director is often seen in a kurta?” I argue. “But, he fits into the last of your categories of kurta monopolists,” comes the sharp response. You can’t win an argument with women. Tomorrow is Saturday and I’ll not break my tradition. When you can’t beat them, simply ignore them.